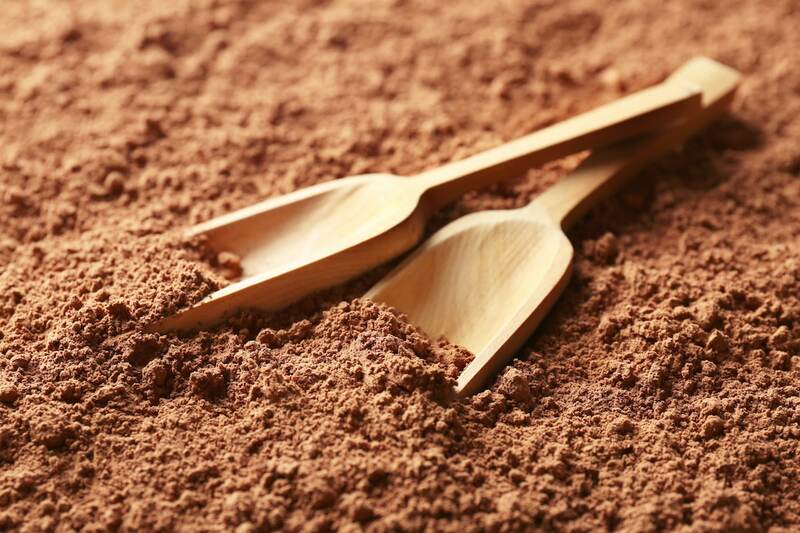 Cacao powder comes from the Theobroma cacao tree, which is an evergreen tree that grows in Central and South America. Raw cacao powder is the same thing as raw cocoa powder and consists of the ground beans from the cacao tree that have been subjected to minimal processing. These beans are the main raw ingredient chocolate. There is evidence that cacao was consumed in various American cultures before the arrival of Columbus. The name cocoa is thought to be a misspelling of cacao, which is the Spanish version of the Aztec word cacahuatl. Cacao beans were valued so much among the Aztecs that they were used as currency. Cacao trees could not be grown in the dry areas that made up the heart of Aztec civilization, so they would trade with the Mayans for the beans. While the arriving Spaniards did not enjoy cacao at first, they eventually acquired the taste. The fact that it could be sweetened with honey helped. Cacao would become popular in Europe and quickly became a symbol of wealth. In the 19th century, a Dutch chemist would invent a way to process cacao beans to remove the cocoa butter and convert them to a powder. The beans were also chemically treated to reduce their acidity, making them more palatable. This made it an even more versatile and affordable ingredient that would maintain its popularity over the coming decades. 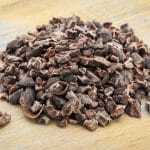 In recent years, the discovery of raw cacao’s nutritional benefits has revived an interest in minimally processed cacao. 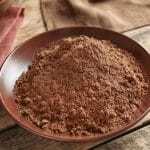 Raw cacao powder has the same chocolate taste as processed cocoa powder; however, that flavor is more bitter and acidic since it has not been processed to the same degree. Cacao is nutritious enough to be considered a superfood by some. Here are some of the nutrients in it that can make it a crucial part of a healthy diet. Antioxidants: Cacao beans are the richest known source of antioxidants. Its Oxygen Radical Absorbance score is 95,500 µmol in each 100 g. To compare it with other antioxidant rich foods, consider the fact that goji berries and acai berries both score below 30,000 µmol per 100 g. The antioxidants in cacao powder include flavonoids, which are the compounds that give fruits their color. They provide support for your immune system in addition to fighting inflammation. Among the flavonoids in cacao powder are anthocyanidin and catechins, which are especially powerful antioxidants. Minerals: Cacao powder is a good source of two minerals: iron and magnesium. Your body needs iron to be able to transmit nerve impulses and for making hemoglobin. It uses magnesium in more than 300 chemical processes. This mineral is important for the function of your nervous system and your muscles as well as for bone strength. A 1-tablespoon serving of cacao powder provides 3 percent of your daily iron requirements and 6 percent of your magnesium. Fiber: Cacao powder is a good source of dietary fiber. You get 7 percent of your daily requirement from a 1-tablespoon serving. Heart disease: For low-density lipoprotein (LDL) to turn into arterial plaque, it must oxidize. Antioxidants can help to prevent this oxidation. The result is that your circulation improves and your risk of heart disease is reduced. Cancer: Research has shown that antioxidants like the ones in cacao powder are able to affect how cancers develop. They may also help to improve the patient’s outcome in cases where the cancer is already present. Constipation: The fiber in cacao powder can help food to move more freely through the digestive system. Cacao powder can be used like regular cocoa powder in that it is a great flavoring for baked goods and beverages. 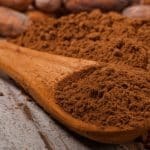 What's A Good Cacao Powder Substitute?